We proudly rent Polaris, Ski-Doo, and Arctic Cat snowmobile rentals for half or full days. 2018-2019 Season – Snowmobile rentals are booked through Bear Lodge Outdoor Adventures. Call 307-752-5444 or 307-752-8444. 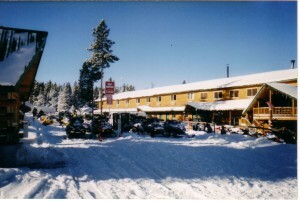 All snowmobiles are on site at Bear Lodge Resort, contracts are handled here, and the machines leave from Bear Lodge Resort and return to Bear Lodge Resort. Rentals CAN be kept overnight with consecutive days rentals. See note below and please be aware: Renter/Driver must be 18 years old and possess a valid drivers license. All riders must wear DOT approved helmets. PERSONS RENTING A SNOWMOBILE MUST BE AT LEAST 18 YEARS OF AGE AND POSSESS A CURRENT, VALID DRIVERS LICENSE. $500. PRE-AUTHORIZATION REQUIRED PER SLED. Rate does NOT include 6% Sales Tax, Gasoline, Oil, Clothing, Damages, or Recovery. Helmet is included in rental rate. We also have gear available to rent including helmets, boots, coats, bibs, and gloves, which can be rented separately or as a set. Rental Return Late Charge: $10. per 15 minutes or partial increments. NO REFUNDS will be given for early snowmobile returns.